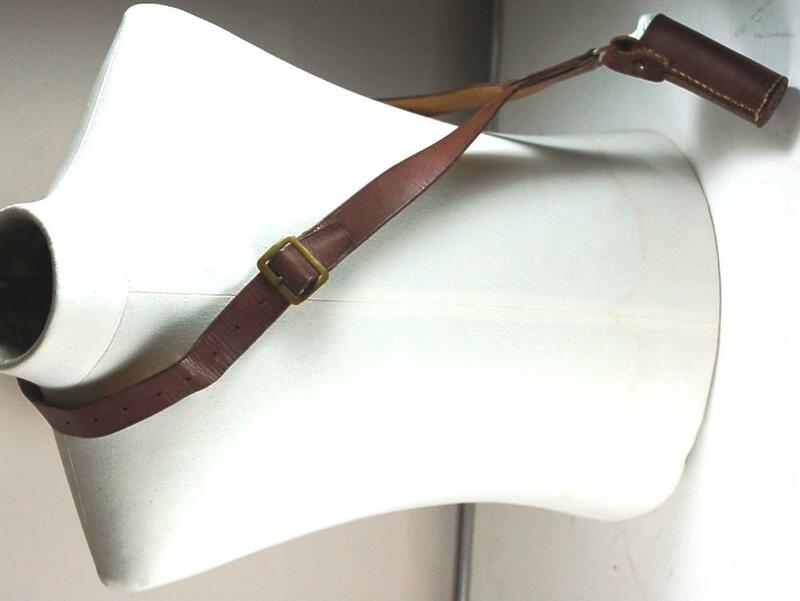 Browm leather belt with long holster for standard bearer. Gold coloured buckle t fasten at proper right and tube shaped holster to front. "CADET UNTI 5917" hand written on inner belt with pencil. Size medium.